Muay Thai (มวยไทย), aka Thai Boxing, is a combat sport of Thailand that uses stand-up striking along with various clinching techniques. This physical and mental discipline which includes combat on shins is known as "the art of eight limbs" because it is characterised by the combined use of fists, elbows, knees, shins, being associated with a good physical preparation that makes a full-contact fighter very efficient. Muay Thai became widespread internationally in the twentieth century when practitioners defeated notable practitioners of other martial arts. The professional league is governed by The Professional Boxing Association of Thailand (P.A.T) sanctioned by The Sport Authority of Thailand (S.A.T. ), and World Muaythai Federation (WMF) overseas. Wai Khru Ram Muay (ไหว้ครูรำมวย) is a ritual performed by participants before fighting in Muay Thai competitions. Below is a video of a unique Wai Khrua Ram Muay. The Mongkhon, or Mongkol (headband) and Pra Jiad (armbands) are often worn into the ring before the match begins. Their origin dates back to when Thailand was in a constant state of war, where young men would tear off pieces of a loved one's clothing (often their mother's sarong) and wear it into battle for good luck, as well as to ward off harmful spirits. In modern times, the Mongkol (literally meaning holy spirit, luck, and protection) is worn as a tribute to the gym that the Muay Thai fighter is fighting out of. 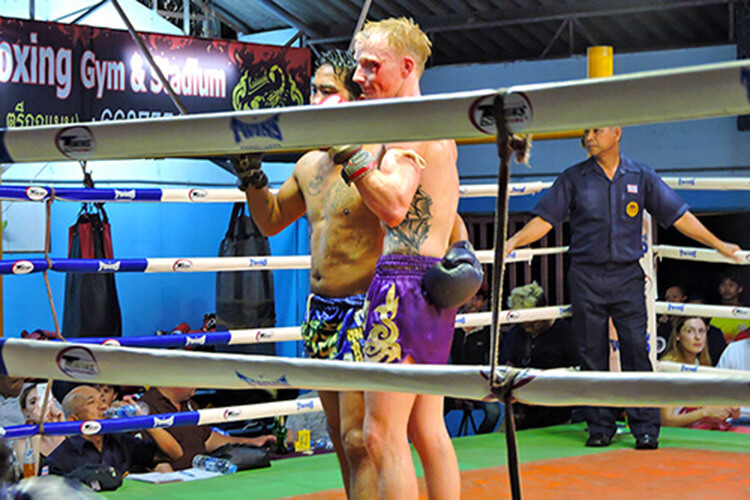 The Mongkol is traditionally presented by a trainer to the fighter once he feels that the fighter is ready to represent the gym's name in the ring. Often after the fighter has finished the Wai Kru, the trainer will take the Mongkol off his head and place it on their corner of the ring for luck. Whether the fighter is a Buddhist or not, it is common for them to bring the Mongkol to a Buddhist monk who will bless it for good luck prior to stepping into the ring. 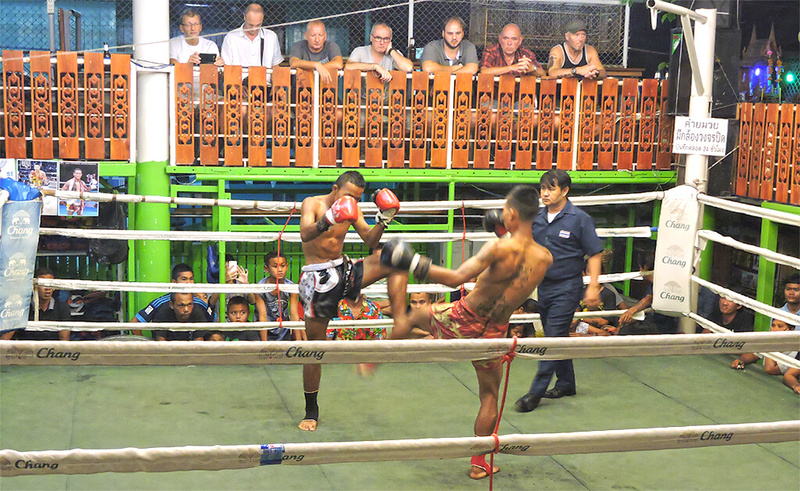 In Hua Hin, there are 2 venues hosting Muay Thai on a regular basis. Feast Thailand offers premium reserved seating at both venues. two of the largest booking agencies in the world; Agoda and Booking.com. Thailand or anywhere else in the world, please use one of the booking apps below.